Principal Green writes to inform Mr. Robison that it is impossible to comply with his request for photographs because Miss Berry is out of town. 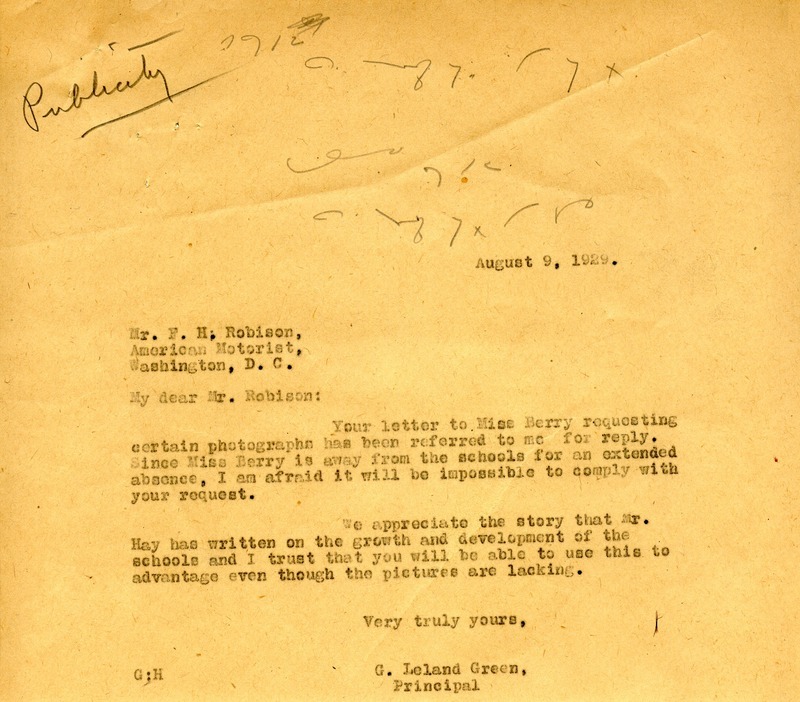 Mr. G. Leland Green, “Letter to F. H. Robison from G. Leland Green.” Martha Berry Digital Archive. Eds. Schlitz, Stephanie A., Chelsea Risley, et al. Mount Berry: Berry College, 2012. accessed April 26, 2019, https://mbda.berry.edu/items/show/10886.